Bring Your Own Body, an exhibition focusing on transgender artists and archives, presents a free, public screening of The Queen, (1968) followed by a conversation with the artist, producer, activist, and cultural icon Flawless Sabrina. The Queen (1968) follows a cross-country drag competition organized by Flawless Sabrina that concludes in the Miss All-America Camp Beauty Pageant held at Town Hall in 1967. Following the screening Flawless speaks with artist Zackary Drucker and archivist Diana Tourjée about the collaborative process of cataloguing Sabrina’s 57-year archive. The Flawless Sabrina Archive contains film, sculpture, writing, photography, painting, and music; in addition to original work by Sabrina herself, the collection contains pieces by her contemporaries, whom Sabrina inspired or collaborated with, including the Kennedy's, Francesco Scavullo, John Waters, David Bowie, Andy Warhol, and Diane Arbus. The mission of FSA is to preserve the work of Flawless Sabrina as an historic cultural icon and raise awareness of transgender issues. FSA resides at the convergence of the past and present in countercultural subject matter, enriching society through the documentation of history and the empowerment of difference. Flawless Sabrina is an artist, producer, activist, and cultural icon. 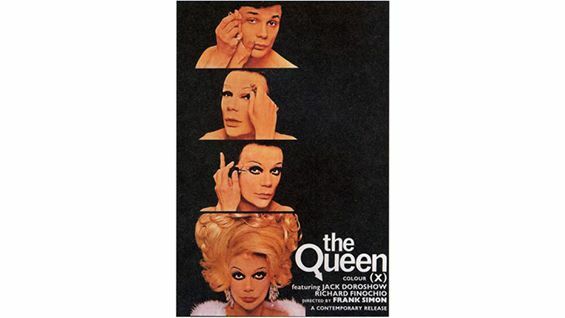 Throughout the 1960's she ran a national drag enterprise and made the award winning documentary, The Queen. In the 1970's she worked as investigative journalist and continued her film career, consulting on and producing films in Hollywood. For the past twenty years Sabrina has worked in politics for LGBT equality. She is a muse for contemporary artists, and a legendary figure in American History. Zackary Drucker is an independent artist, cultural producer, and trans woman who breaks down the way we think about gender, sexuality, and seeing. She has performed and exhibited her work internationally in museums, galleries, and film festivals including the Whitney Biennial 2014, MOMA PS1, Hammer Museum, Art Gallery of Ontario, among others. She is a Co-Producer on Transparent. Diana Tourjée is a writer and actor in New York City. Her work has been featured on Broadly, Dazed Digital, Original Plumbing, and The Huffington Post. She is the archivist and biographer of Flawless Sabrina.